We jut across the windy river, travelling on small colorful speedboats that dash across rapids and interconnecting channels. It’s only been a few days since being in Borneo and the journey has officially begun. We travel down the Melawi River, one a thousand rivers traversing the West Kalimantan province, heading deep into the heart of the rainforest. As we reach deeper and deeper into the interior, we leave all signs of civilization behind and enter an unknown world. Along the river we pass by small villages with wooden huts, fisherman paddling wearing rice hats, children bathing in the water and the only thing in the sky is the canopy of a the rainforest covering the heavens. Yet as remote as we go, we could not escape an ugly reality. At seemingly every turn we were reminded of the industrial axe this land faces. There was illegal logging with pile-ups of timber as tall as buildings, illegal gold mining spewing toxins into the water stream and the rows of palm oil plantations further beyond the riverbanks. These were the last of the primarily rainforest in Borneo, supposedly protected, and even they were disappearing. Near nightfall, we finally arrived at a Dayak village in the Serawai region where we are greeted with a wonderful eruptions by the entire tribe and their many children. 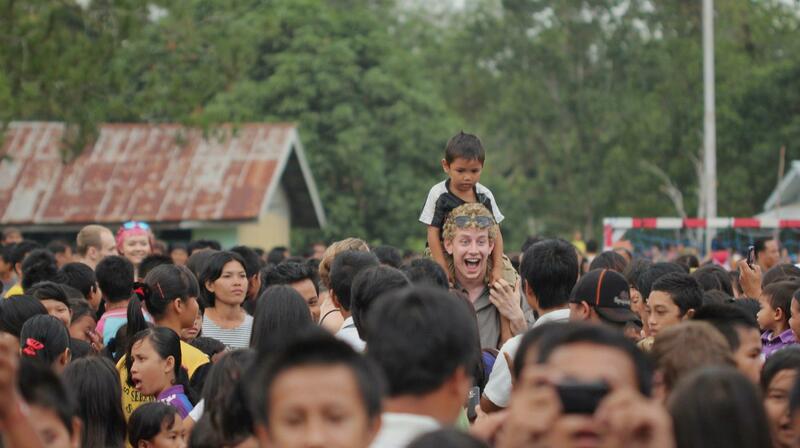 Swarmed by seemingly a thousand tribes people gleefully greeting us, shaking our hands and taking pictures with us. For many we were the first foreigners they had ever laid eyes on. We were then taken to join neighboring tribes in a traditional Dayak ceremony. There was electric dancing of our numerous cultures, piles of food handed to us and gulps of wins taking a pounding on our livers. At the end, we we’re made honorary Dayak tribes members and accepted as one of their own, each given a bracelet to bind this new relationship. 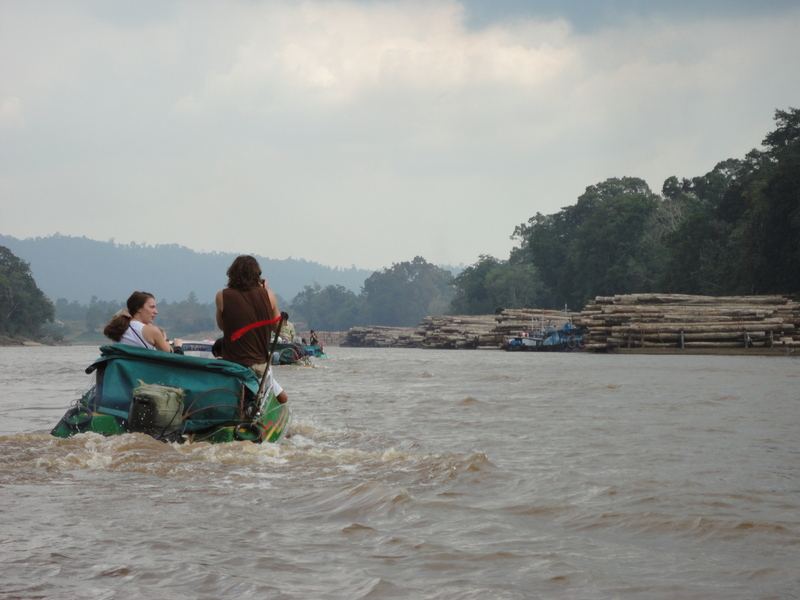 The next few days we travelled up river by boat to the villages of the Serawai and Ambalau regions. We had meetings with the tribes people. We told them of why we came, to help support their fight and to hear their stories of what was happening. What we heard brought many of us to tears. They told us how their land is being stolen from them, as the palm oil companies make claim by bribing local officials to sign off on permits, turning tribes against each other resulting in bloodshed, and abusing the Dayak’s lack of land certificates for their own gains. It can be as simple as one day the palm oil companies makes claim to their land by spray-painting the trees, sometimes without any prior notice or compensation to the owner. A week later the land has been demolished with palm oil saplings crudely planted. 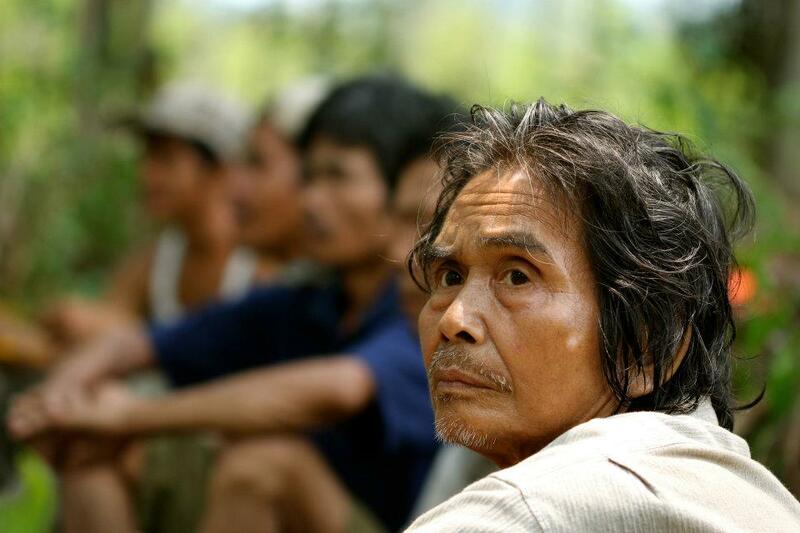 For the Dayak, everything is gone: their farm, their livelihood and their ancestral land. “We do not want to be slaves on our land,” says an anonymous tribes leader. These are powerful words that stay with me. It was beginning to sink in that protecting the rainforest of Borneo is life or death for the Dayak. This wasn’t just about protecting trees – this was about human rights. With their voices, it is clear that both survival of people and the planet are at stake here. Four days later, we said our goodbyes to the villages, some tears and hearts full for these communities. As we leave, they ask us to do one thing, to tell their stories and to make their voices heard.